Look, some people struggle with the frilly, emo parts of holidays like Valentine’s Day. 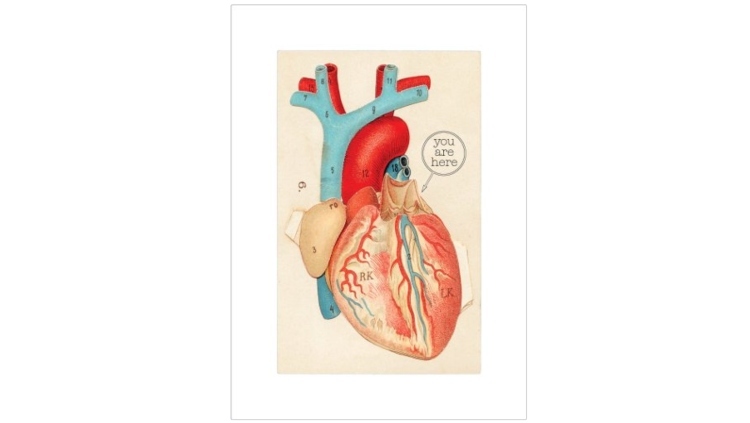 If this is you and/or your partner, this anatomically correct greeting card says everything you can’t. And it does it all with a beautiful illustration of the human heart. Tell your punk girlfriend you love her as much as you have since the day you first laid eyes on her with this Be My Cheeky Valentine card. You won’t regret it. Oh, you’re in love? Are you sure? With this “I F*cking Love You” card you can prove your love like you’re declaring it in a Tarantino film. If there’s a better way to do this, don’t tell us. It’s probably very illegal. 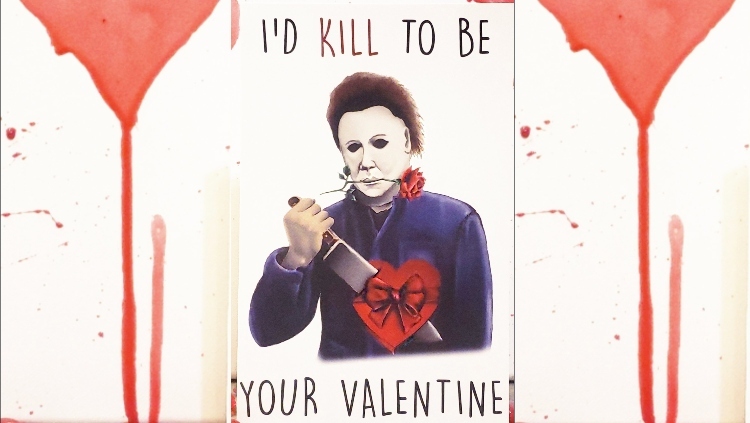 This Michael Meyers themed Valentine’s Day card is perfect for the person in your life who only cares about Halloween. And, let’s face it, after enough horror-able relationships, it’s nice to find someone who gets it. 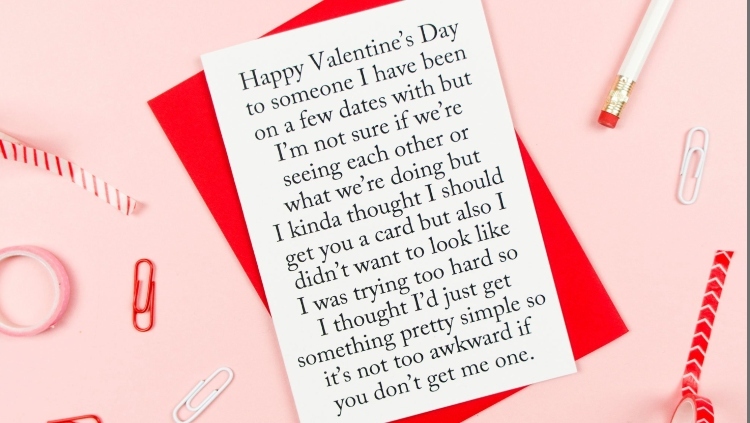 If you’ve only recently been dating someone and don’t want to seem too serious and clingy, this awkward stage Valentine’s Day card is exactly what you’ve been searching for. 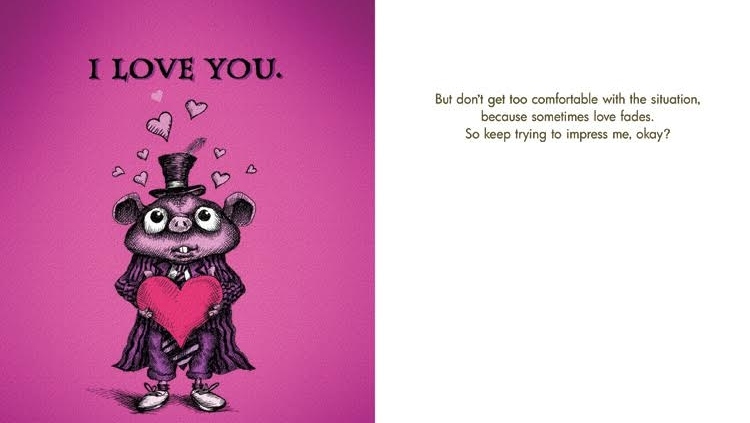 Let the card do the talking, and a lot of talking at that, so your significant other knows you don’t expect too much but also, hey, it’s Valentine’s Day and we should celebrate like all new couples, by banging. Holding hands with your partner while watching Cute Overload again? 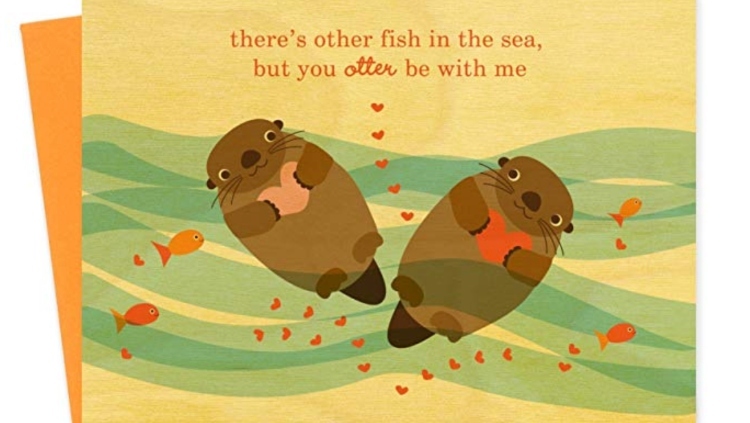 This otter love Valentine’s Day card will say everything you can’t and it does it with an illustration of the cutest otters. 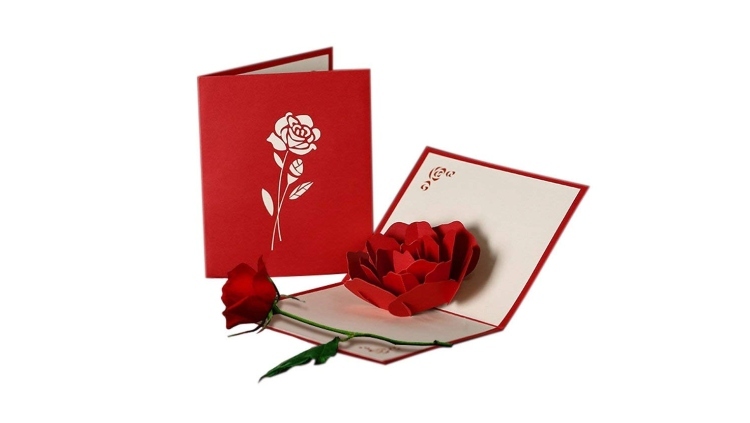 If you’re dating a lady and she expects to be treated like one, wow her with this 3-D pop-up rose Valentine’s Day card. You don’t even have to bother with flowers because this lovely card is both. If your relationship theme song is “I Want You To Want Me,” let them know with this soul-sucking Valentine’s Day card. 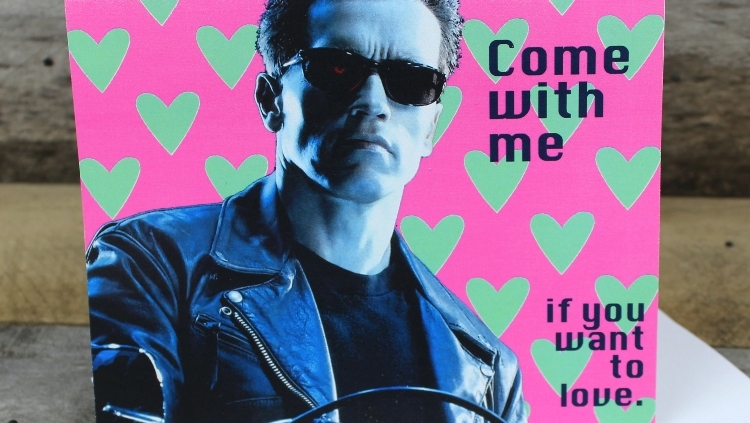 If every time you part from your lover all you can think is, “I’ll be back,” let them know with this Terminator themed Valentine’s Day card.